Snacks «Come Play In The Kitchen! Come Play In The Kitchen! Yesterday I was starving but it was kinda too close to supper for me to really eat much. 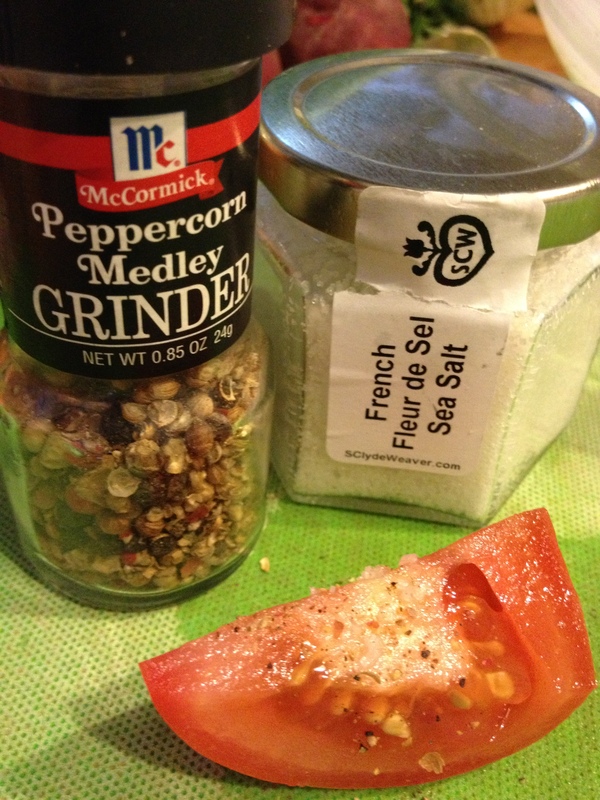 I had some nice tomatoes I’d picked up at the farmers’ market, so I cut one into wedges and sprinkled them with fleur de sel and some fresh ground pepper — hit the spot!! !